Lince Works announced that in five short months the stealth-adventure game, Aragami, sells over 140,000 copies on PC and Playstation 4. Design your own levels. Upload them to Steam Workshop. Share them with thousands of Aragami players. 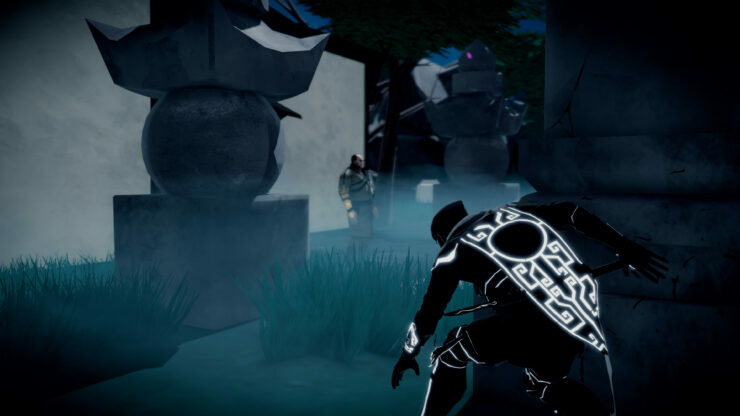 Download hundreds of new levels and missions for Aragami. Multiplayer support! Play any level with online multiplayer! Hundreds of props to desing your own scenario. Place and design your own enemy patrols. 3 main objectives: Infiltration, Heist and Target Hunt. 1 new enemy type: The V.I.P.! Hunt him down in Target Hunt. 3 different locations: Graveyard, Forest and City. 3 level sizes: Small, Medium and Large. Different level variants: Pacifist, No Alerts and Time Limit. We’re still getting all the numbers in from PlayStation4 for February and March, but the game has been a massive success there as well. Thanks to this support, we’re now in an amazing space where we alone can decide on the future of our games and the studio itself. And we owe it all to our amazing fans. The timing of this milestone couldn’t have been sweeter as we’d just released Steam Work Shop support to our PC fans. I recall how in the In the 90’s all of us on the team spent hours upon hours in the Tenchu 2 level editor, so we knew we wanted to give the same experience to our own players if the game’s success meant we could focus time and effort on something similar. Aragami is out on PlayStation 4 and PC. It’s a pretty great stealth game according to our Francesco, who rated the game 8.5/10 in his review.